Is the New National Defense Strategy the Right Way to Deal With China’s Rise? 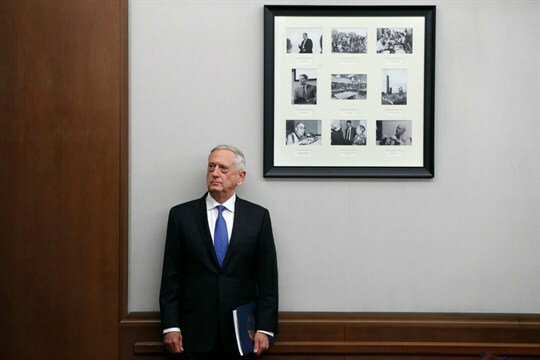 U.S. Defense Secretary James Mattis listens to his introduction before speaking about the National Defense Strategy, Jan. 19, 2018, Washington (AP photo by Jacquelyn Martin). No issue is more important for U.S. national security than America’s relationship with an increasingly powerful and assertive China. But it is also true that no issue is more complex. Two weeks ago, Secretary of Defense James Mattis released an unclassified summary of his new National Defense Strategy. Known among national security professionals as the NDS, the document outlined a major shift in U.S. security doctrine.